Long time Macedonia resident, and Urban Travel Blog’s Balkan expert, Chris Deliso, shares his tips on what to do in Skopje, from culture to cult hangouts…. (Photos by Chris Deliso). 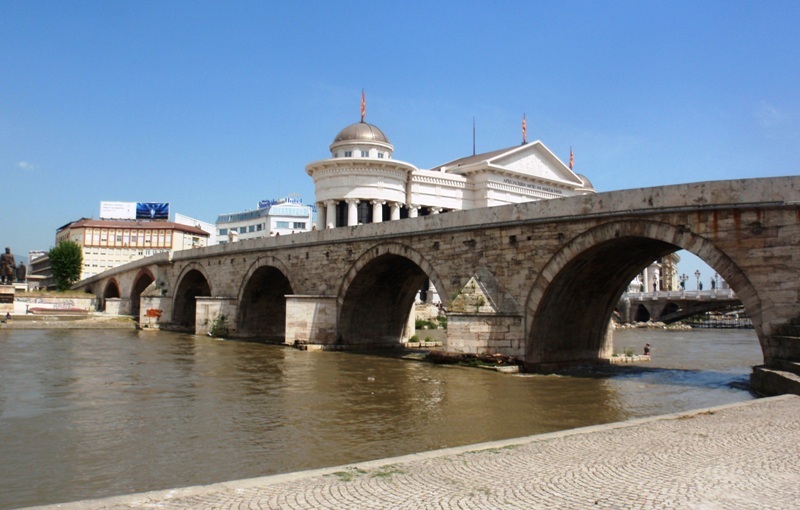 Strung along the River Vardar and marked by cultural monuments old and new, Skopje is a friendly and increasingly visited city in the heart of the Balkans. The Macedonian capital has more than enough sights, sounds and entertainment to fill up your long weekend break – with close proximity to nature getaways in every direction, and quick and easy connections by air, road and rail to European countries. 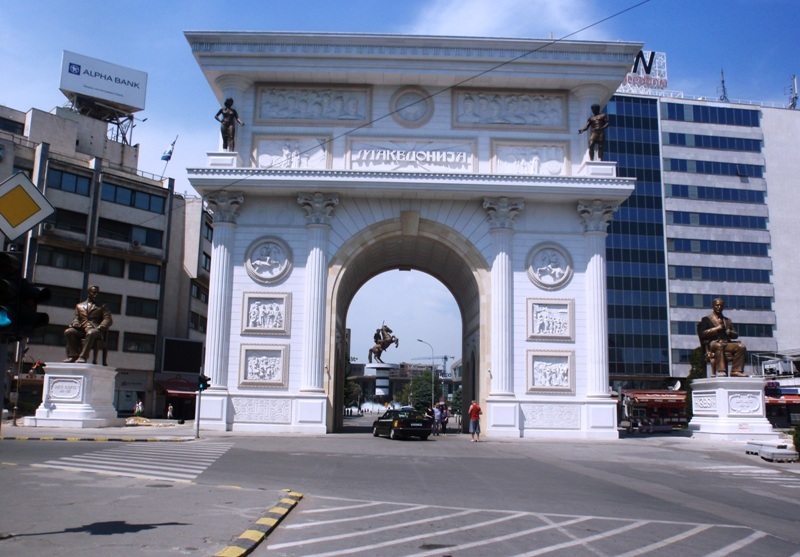 In recent years, Skopje has been in the headlines frequently for the former government’s ambitious public works campaign, which overhauled many public buildings with neoclassical facades, erected monuments to national heroes and built new museums, as well as the lesser-discussed, but also significant, improvements made to the public transport infrastructure and the previously bleak city zoo. This programme infuriated neighboring Greece, which has a Macedonian province of its own (and has been blocking its northern neighbor since 1992 on membership in clubs like NATO and the EU). Other turbulent events since 2015 have included a political crisis and a wave of migrants passing through from Greece en route to Europe back in 2015. But through it all, Macedonians remain remarkably even-keeled, displaying a unique sense of humor in a part of Europe used to such misadventures. 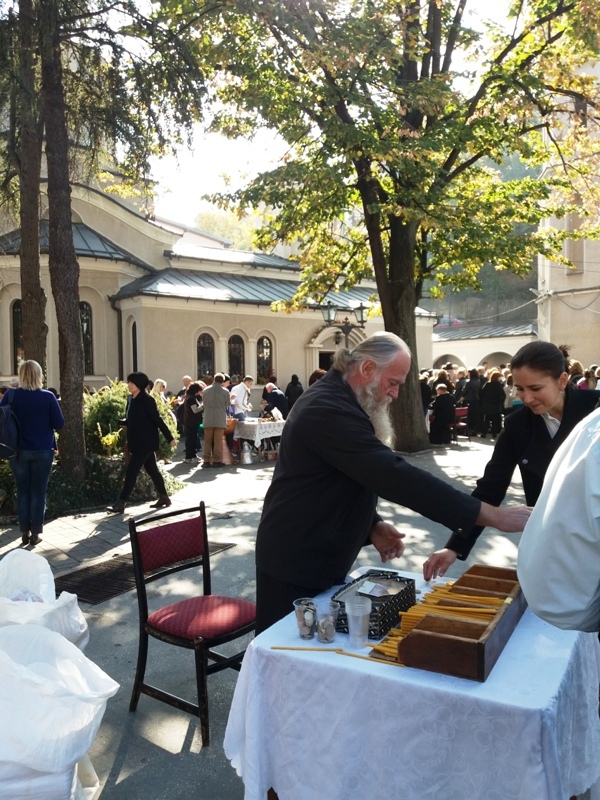 Macedonians are incredibly friendly and helpful, and English is spoken widely (especially by younger people). Skopje is one of Europe’s safest cities, and at less than one million inhabitants is a fairly straightforward deal. 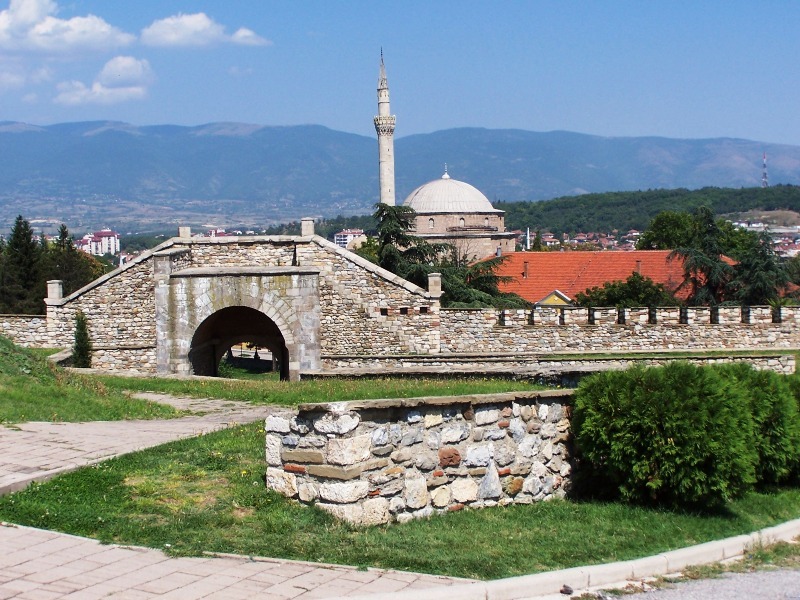 Most of what you’ll want to see and do is within a 10 to 30-minute walking distance, but this small radius contains a great range of history – with remains from Byzantine, Ottoman and Yugoslav times. The city hosts frequent concerts, festivals and events, and by Western European standards is fairly inexpensive. The main square radiates with statuary and admiring these works of art is a obvious start when it comes to things to do in Skopje. But as well as the ‘warrior on a horse’ (i.e. 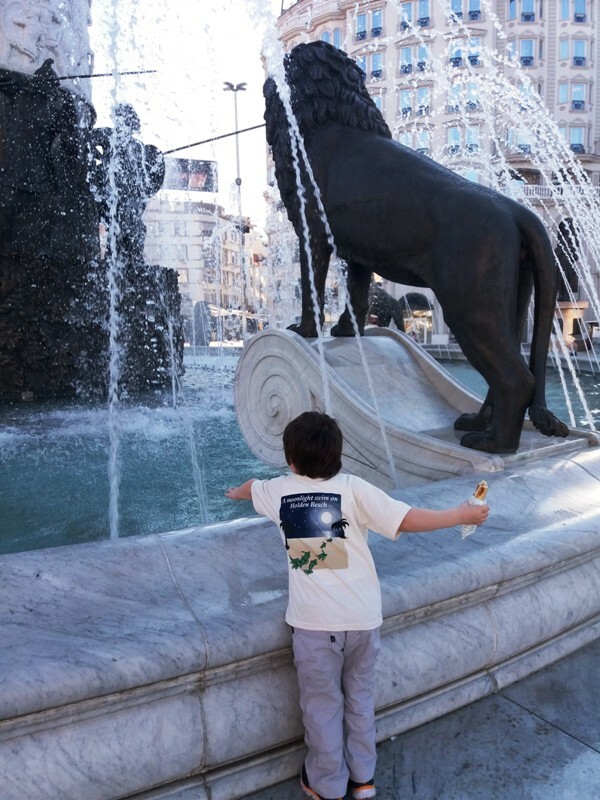 Alexander the Great) and many other historical personages of lesser fame, the square is thronged with cafés, restaurants, shopping centers, fountains, a ceremonial arch and street vendors. Cross the Ottoman-era Kameni Most (Stone Bridge) to enter Skopje’s Old Town (Čaršija), the historic center of public life during the Ottomans’ five-century rule. 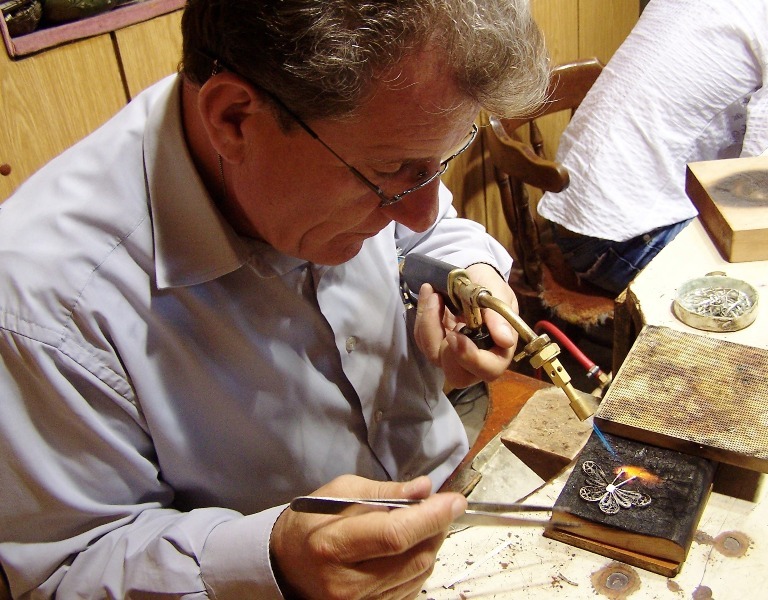 This side of the river has a larger ethnic Albanian and Turkish population, and you’ll find many traditional gold and silver shops interspersed amidst the antiquarian shops, tea shops and Ottoman attractions. Before entering the Čaršija proper, to the right-hand side you have the Archeological Museum, and to the left, the Museum of the Macedonian Struggle for Statehood and Independence (which documents the unsuccessful fight for independence from the Turks in the late 19th and early 20th centuries), the Macedonian Opera and Ballet, and the Holocaust Memorial Center for the Jews from Macedonia, which covers the history of the Sephardic Jewish civilization in this part of the Balkans (some 7,200 Jews were deported to Nazi concentration camps by the occupying Bulgarian army during WWII- only a couple hundred Jews remain today). The Čaršija is home to the city’s historic structures from the Church of Sveti Dimitrija, which contains elegant frescoes, to the Daut Pasha Hamam, a former Ottoman bathhouse and now the National Art Gallery. Other Ottoman structures here include Kapan An and Kurşumli An, former way-stations for traveling merchants and now art galleries. The long-established Museum of Macedonia stands here. Turning up the hill to the left one reaches the ‘sunken’ Church of Sveti Spas, with impressive 19th-century wood carvings, and above it the grand Mosque of Mustafa Pasha. Overlooking both – and the city – from across the street is the massive Kale, the castle on a ridge built by Byzantine Emperor Justinian in the 6th century and retrofitted many centuries later by the Turks. Bezisten, another Turkish structure of note, was originally a covered market. The nearby Cifte Amam is another former hamam with wonderful domes now housing art. Isa Beg Mosque, also located in the Old Town, remains operational since being founded by the Ottomans. Back on the new side of town, the Museum of the City of Skopje (a short walk down the café-lined Macedonia Street- once the city’s original railway station, it’s stone clock remains frozen in time from the moment the 1963 earthquake struck. Along the way on the left is the Mother Teresa Memorial House, commemorating the world-famed ethnic Albanian nun born in Skopje in 1910 and, just past it, the recently-built Church of Sveti Konstantin and Elena, which replaced a historic one destroyed in the earthquake on the square. Another new-ish church worth seeing is the city’s main Orthodox Cathedral (Church of Sveti Kliment Ohridski), a 500m walk from the square. In between, note the Yugoslav-era Main Post Office, a sort of giant concrete pineapple gifted to the city by a Japanese architect after the 1963 earthquake. Past the cathedral, following Boulevard Partizanski Odredi westward, the laid-back neighborhood of Debar Maalo hosts some of the most hip cafés in town. One of the few areas of town that survived the earthquake, it’s marked by early Yugoslav-era modernist buildings and full of little cafés and restaurants where faux-leftists and tourists alike congregate. In the last decade or so, the Čaršija (Old Town) has also reclaimed its place as a nightspot, with the immensely popular Old Town Brewery serving up Macedonia’s only domestic microbrews and hosting live music in summer on the square out front. Just below it is the Vinoteka Temov, a (rather pricey) wine bar with an immense selection of local and international wines. It’s also worth exploring the central Čaršija, as well as some side streets between the central square and Debar Maalo for the occasional dive bar or neighborhood place playing Macedonian or alternative music. To get the full Skopje experience, take in a match at the city’s Stadium, located just past the park; it hosts international football matches for inexpensive prices. Macedonians are also very keen on European handball (local club Vardar won the European championship in 2017), and you can see matches at Jane Sandanski Sports Hall in the Aerodrom neighborhood. Other sports events and concerts are held at the Boris Trajkovski Sports Hall, a 20-minute walk from center. The site also includes a large indoor pool adjacent, a bowling alley, carting and a skating rink in winter and water park in summer. Nearby, right on the southern bank of the river, a long asphalt bike path runs down the city, giving cyclists, runners and walkers a scenic way of getting exercise and beating the traffic. Skopje also hosts frequent concerts of local and international music, getting a surprising number of big DJs and the occasional graying rock legend. The top talent comes unfailingly each October with the Skopje Jazz Festival, which has featured some of the world’s most prominent jazz musicians. Events held annually also include the Skopje Summer Festival, OffFest, and May Opera Nights. Finally, you can get a new perspective on Skopje (and escape its chronic smog) by taking a bus or car up to Mt. 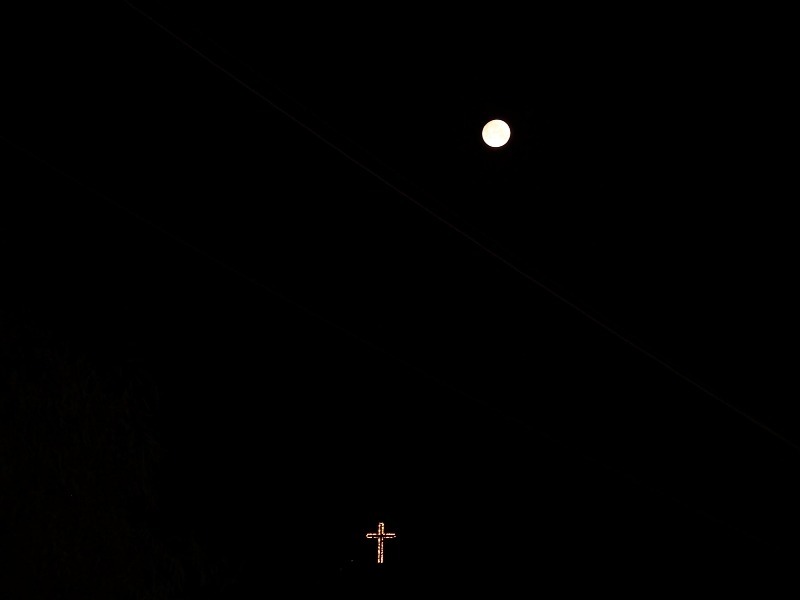 Vodno, which looms over the city to the south. Take the gondola from the middle of the hill (Sredno Vodno) up to the top, which is crowned by the massive, 66m-high Millennium Cross. Some good hiking and views are found here. 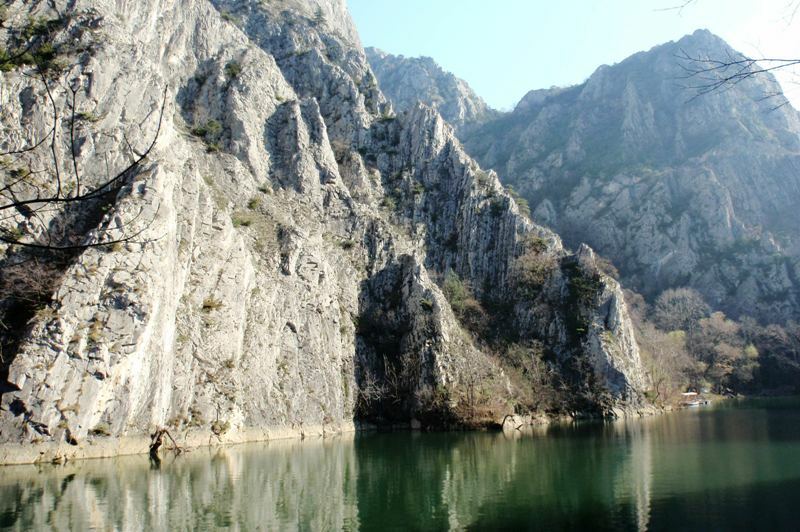 From Vodno, you can hike to Matka Canyon (otherwise, it’s a 30-minute drive (or ride on city bus 60 southwest of town). This lush spot features little churches hidden in the wilderness and the Vrelo Cave, accessible by boat. International divers continue to explore Matka’s underwater caverns (which descend well over 200m). Several small restaurants stand around the lake, making for a relaxing lunch spot out of the city. 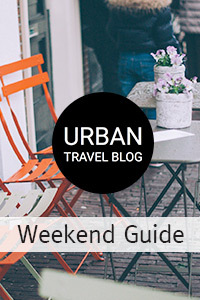 Skopje’s burgeoning accommodation scene has something for all budgets. Well-located near Universal Hall and the hip Debar Maalo neighborhood, Urban Hostel is a spacious and relaxed place which also has 14 private apartments on offer in the near vicinity. Set right on Makedonija St. at the Main Square, the new Hostel Rekord has the best location, and offers three dorms and a private room (but no kitchen). The tiny but friendly Unity Hostel is located on Boulevard Ilindenska, near the shiny retrofitted government buildings, a short walk from the City Park and Debar Maalo to the west and the main square to the west. Nearer to the latter two sights is the laid-back Lounge Hostel, with eclectic décor and friendly staff. If you want to be close to train/bus stations, the bohemian Shanti Hostel (which was the first comer on Skopje’s modern hostel scene) is a two-minute walk, in the Madjir Maalo neighborhood near the river. If your bucket list includes sleeping on a faux sailing vessel, the new Hotel Senigallia offers 18 plush modern rooms, within a tethered vessel in the River Vardar, right off the Main Square. If you want to be up in the fresh air of the residential Vodno neighborhood towards the mountain, Hotel Tasino Cesmice (1.5km from center) has great views over the center, a wide selection of rooms and two restaurants. At the high end, the slick business hotel Solun Hotel and SPA features arty modern rooms, a small pool and spa just off the main square; nearby is the new Marriott Hotel on the main square is a deluxe option with a great breakfast. Lux treatment atop the Čaršija, meanwhile, is provided at the new Bushi Resort & Spa, near Kale castle. Meanwhile, the Hotel Russia is another good business option, in the bustling residential suburb of Aerodrom, near the Jane Sandanski Sports Hall and with some good local nightlife options. Skopje doesn’t have a big street food culture, though you’ll find the occasional stand with roasted chestnuts and corncobs – and the ever-popular gevrek (a bready ring topped with sesame seeds). Other snacks ubiquitous to the Balkans include burek (a flaky, phyllo-based pastry stuffed with white cheese, spinach or meat) and its close relative, banicka, both available in numerous bakeries, one particularly famous one being the very central Rekord on Dimitrija Cupovski. 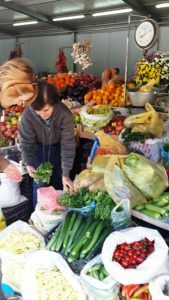 Skopje’s numerous Green Markets offer a wide variety of cheap fruit and veg. Finally, Skopje is well-known also for its kebapi (grilled beef-and-lamb logs served with a side of onion and hot peppers); some of the best are available at the iconic Kebapcilnica Destan in the Čaršija, in business since 1913. Enjoying pride of place on the main square, Restaurant Pelister is a long-time favorite with international fare and a grand outside terrace for watching the city go by. Meanwhile, the tiny, age-old Idadija and other kafanas near it in Debar Maalo serve good traditional grills. One such newer place, Skopski Merak, has become a local favorite since opening in 2009, and sometimes offers live music. For excellent Italian fare in an elegant setting, try the acclaimed Vodenica Mulino. Another sophisticated (and similarly pricy) place, but this one serving Macedonian fare, is Pivnica An. Located as it is inside the Ottoman Kapan An in the Old Town, it’s very popular with tourists but has good ambiance. Another place with rustic décor is the Stara Gradska Kuka, set in a creaky old mansion (as befits the name), serving Macedonian traditional dishes. Patisserie Pastel, located a short walk from the Church of Sveti Kliment Ohridski and roughly opposite the European Union delegation office, does good coffees and offers a wide selection of homemade cakes and pastries. Broz Kafe, across the street from concert hall Universalna Sala (Universal Hall), has a hip feel and wide variety of coffees. Wandering around in nearby Debar Maalo brings you to other cool cafés (that turn into busy bars come night) such as Café Krug and Nano Bar. As the name would suggest, Cocktail Bar (located downtown, near Parliament) offers a variety of cocktails and guest DJs. While it also serves fairly authentic Cuban food, the Casa Cubana is best known as a night bar and for its cocktails. It’s one of several bars and restaurants stretching from the Main Square down the riverfront, a quick walk which ends up at the obligatory Irish Pub – a bit overpriced, but good for a beer with friends. Skopje gets plenty of big-name international DJs, but clubs tend to come and go, with some seasonal (like open-air clubs that work during summer in the City Park, so it’s best to check locally. 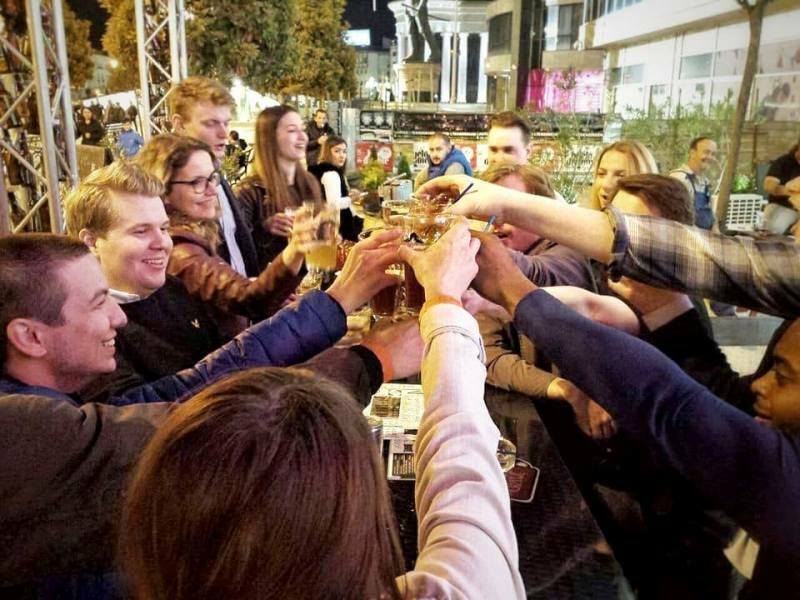 If you’d like to join a mixed local and international group, the Skopje Bar Crawl begins every Friday at 9PM on the Stone Bridge, and at the same time on Saturday from Sveti Kliment Ohridski Church (price 600 denars, or 10 euros). Skopje International Airport is located 23km east of the city. Taxis with stated prices (about 20 euros) run regularly. The Vardar Express airport shuttle bus reaches six main stops in the city; buy tickets (150 denars, or 2.5 euros) at the small booth visible before the exit door. It tends to leave when full, so is a more reliable option when leaving the airport than when coming back if you’re rushing to catch your flight. If flying out of Skopje, book a taxi in advance and the price will be slightly cheaper. Time and traffic dependent, the trip can take from 20-45 minutes. Skopje Bus Station is located conveniently next to the Train Station, and opposite the city’s second-largest post office. It’s a 10-minute walk straight to the center. Regular buses serve national and international destinations such as Prishtina in Kosovo, Belgrade in Serbia and Sofia, Bulgaria and Europe. The nearby Greek port city of Thessaloniki (3 hours) is served by morning and evening buses. Macedonia’s trains remain slow and old-school, but are also significantly cheaper and offer a nice, no-frills way of seeing the country’ vineyards and mountains whiz by. Skopje has an extensive and organized bus system of public and private buses, with tickets going for 35 denars. Some locals pay by phone when boarding buses, however. Drivers should note that parking in much of Skopje now requires paying by phone; if you see a large placard hovering over your general vicinity, try to follow the pay-by-phone SMS instructions, or risk having an obtrusive wheel cuff placed on your car until you pay to have it removed. However, there are plenty of quiet residential streets not yet afflicted by the paid-parking craze, so choose appropriately. Useful local sources on Skopje include the national tourism portal, Exploring Macedonia, along with the Visit Skopje website, the GoSkopje website and the Travel2Macedonia website. The Karti.com.mk website sells tickets for upcoming sports and music events online and also gives information for where to buy them in local shops. 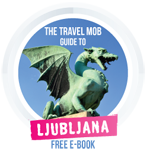 Bradt Travel Guides publishes a dedicated guide to Macedonia, while Lonely Planet’s Southeastern Europe and other regional guides contain a chapter on Macedonia. Macedonia’s most well-known director, Milcho Manchevski, rose to fame with the 1994 film Before the Rain, a tale of tangled love touching on the ethnic divisions and social transitions from the former Yugoslav time. More recent films such as The Liberation of Skopje (Osloboduvanje na Skopje, by Danilo and Rade Serbedzija), about the liberation of the city from Nazi control during WWII. The city also hosts an annual Film Festival, featuring local and international productions. And, while you wouldn’t know it, CGI effects for innumerable Hollywood films (see the list) have long been animated by Skopje company Fx3x. Macedonians are a very musical people, and the country offers an intriguing mix of traditional and modern music. Like in other former Yugoslav republics, the song most associated with the city dates from communist times: Skopje, by famed Yugoslav rock group Leb i Sol. The group’s virtuoso guitarist, Vlatko Stefanovski, still lives in Skopje and puts on the occasional show (check out Stefanovski’s acoustic shredding here on the traditional Kasapsko Oro, or ‘Butcher’s Dance’). Also from Skopje was the belated ‘Queen of Gypsy Music,’ ethnic Roma singer Esma Redzepova. A decade after his tragic 2007 death in a car crash, Tose Proeski is still mourned by Macedonians, revered for his incredible voice and humanitarian activities. Check out his exceptional range on the traditional Zajdi Zajdi, pop-rock classic The Hardest Thing, and the amped-up Makedonija naviva za vas– as the de-facto national sports anthem, you will hear it at many a match. Chris Deliso is a US journalist who has lived in six European countries after studying Byzantine History at Oxford. He specialises in Southeast Europe, contributing to 20+ Lonely Planet guides, such as Greece, Turkey, Romania, Bulgaria & The Balkans.